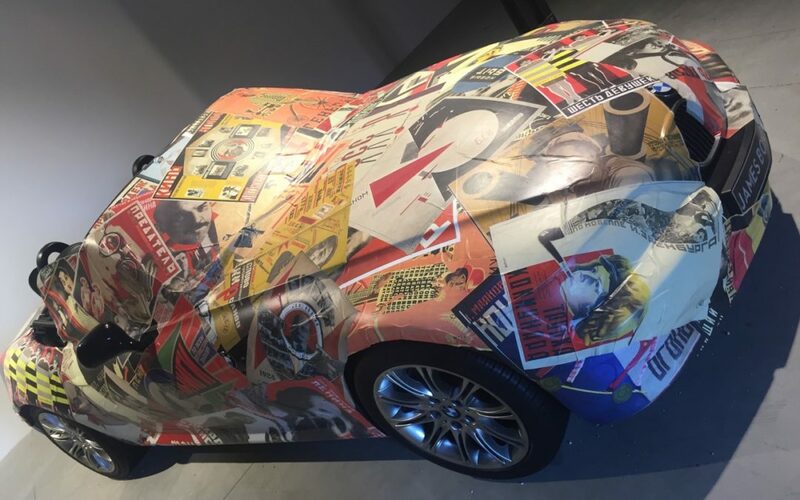 Here’s a sort of ArtCar from the Macedonian pavillion at the Venice Biennale. It’s only papered over – I guess someone lent them a BMW. Not part of BMW’s famous program I’m sure. A little video went with it.